Get comfortable and move easily in this active lifestyle pullover hoodie with performance body, contrasting relaxed French terry sleeves and hood, and waxed drawcords with metal tips. It's made from soft, stretchy 88% polyester/12% spandex (body) and 60% cotton/40% polyester (sleeves and hood). 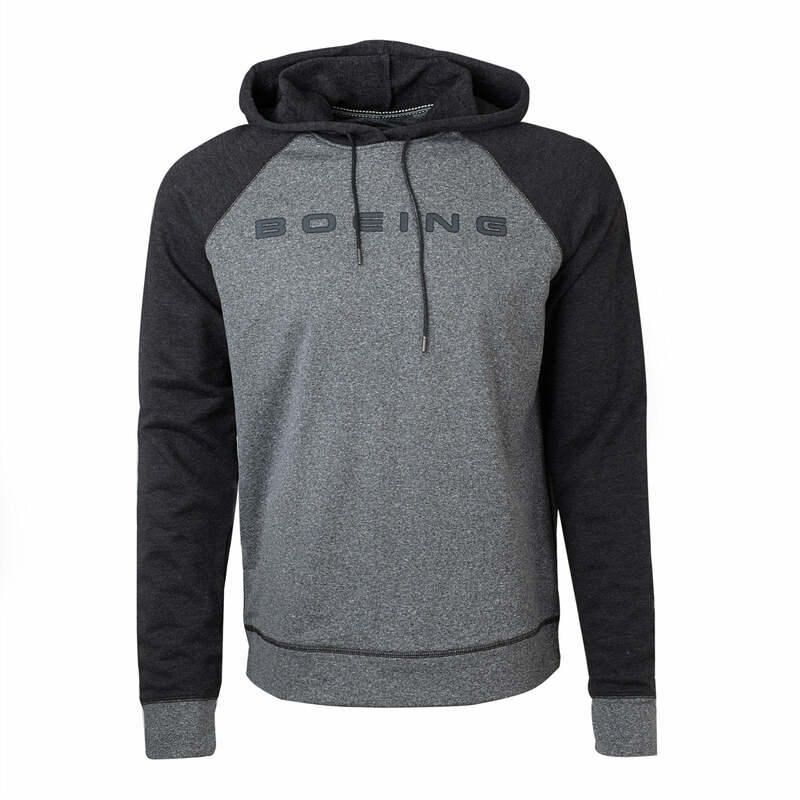 The Boeing name is printed in contemporary outline letters across the chest. Gunpowder. Imported.